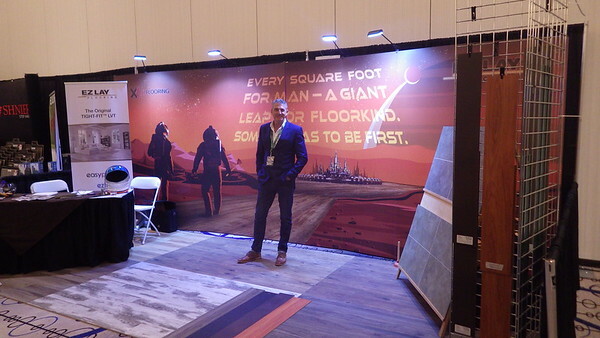 20ft x 7ft, 8-panel display for XL / EZ Lay Flooring. With trade show pop-ups on the left side, including arrangement of numerous related items on the right plus 200sq.ft. display floor. Managed ideation to execution with ceo, principals, sales managers, graphic designer, supplier and logistics team, which was delivered to an AZ trade show location on time despite having a short time frame. Milky Way chocolate bar giveaways and space suits for booth personnel—that also had to be sourced—accompanied the display. The feedback and results from the show were positive as the overall projected image was unique and memorable for both sister companies.